The luxury of time has afforded me and my creative partners the opportunity to take a long objective look at the results of our little narrative experiment, Bxx: HAUNTED. In doing do, we’ve come to a number of conclusions, the main take-away being that, like most experiments, the result we were seeking has been utterly eclipsed by another that we discovered quite by accident. Our original intent with Bxx was to create a non-linear narrative that could be accessed by the user at any point in the story and viewed in any order. How do we script a 32 hour drama, much of which is being performed simultaneously in different locations? How do we rehearse the actors? How do the actors sustain a role, uninterrupted, for days at a time? Nevertheless, after much trial-and-error, we devised (although “reinvented,” may be the more accurate term) solutions to writing, rehearsal and performance—techniques we immediately recognized as proprietary insomuch as they are highly counter-intuitive and would prove virtually impossible for a competitor to replicate or “reverse-engineer” by simply viewing the end-product. Much as the Apollo missions gave birth to calculators, adult diapers and Tang, our little experiment yielded a number of incidental discoveries in support of its ultimate goal. One of those “incidental discoveries” not only overshadows the others, but arguably the entire experiment itself. 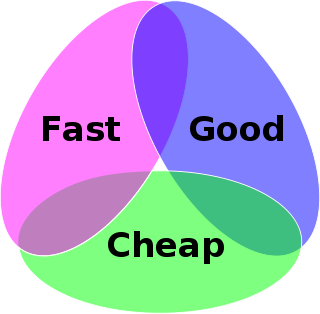 The axiom states that one can only achieve two of the three aspects within a project. For instance, if speed and quality is desired, the quest will prove expensive. Likewise, if one has a small budget but takes enough time in execution, the results can be good. The box-narrative format, however, obliterates this paradigm by virtue of the sheer volume of material captured within the time-frame. The production of Bxx: Haunted, for instance, yielded almost 600 hours of video, hundreds of pages of notes logged by the characters in journals and investigatory forms and dozens of audio samples. Our budget was less than $20,000, including the purchase of 16 IR cameras and a custom DVR system. Though one may argue that much of the material we captured—empty rooms, sleeping actors, lulls in action—is unexciting, the same decidedly cannot be said once its entirety is distilled into its most compelling fraction of a one percent. In short, the box-narrative format can deliver a full season, twelve episodes of compelling commercial television content, for the price of a single episode using traditional methods. And unlike a traditional production in which the unused takes are discarded, every second of every shot, every journal entry made by a character, every notation in a log, piece of correspondence, file, report, recording and photograph is available on the web to support the television series. Whereas traditional film production is marked for its bloat, waste and grotesque inefficiency, a Bxx production rapaciously attacks and renders the narrative into hundreds of hours of entertainment content. Consequently, the stunning efficiency of the box-narrative presents a unique opportunity to the private investor. Though it has long been possible to independently finance a single theatrical film, series television has remained out of the private investor’s reach due to its huge costs and protracted contractual requirements for cast and crew. The box-narrative production format, however, decisively smashes both these hurdles. For the cost of a single low-budget film, Bxx can deliver an entire 12 hour episodic series. Assuming it commands even the most conservative, "reality show-level" licensing fees on a basic cable network, profits from domestic distribution alone will exceed production costs and generate a profit. Add foreign distribution, internet advertising and potential subscription revenue from its online component, as well as additional sources of monetization such as merchandizing and software, and the potential ROI of Bxx is self-evident. Of course, all this is just theory. Which is why we produced our proof-of-concept, Bxx: HAUNTED. But can such an unorthodox production generate content that can be tamed into a traditional media a standard narrative format? To answer this question, we culled footage captured during the 32-hour production of Bxx: HAUNTED and edited them into a standard feature-length. Keep in mind, Bxx: HAUNTED was accomplished with a micro-budget (under $50,000 US) and severe technical limitations. Our next project, Bxx: MARS, will utilize over 70 high-def cameras, state of the art tech, studio-grade design and production values, first-rate digital FX, and twice the real-time shooting length, yielding over 5,000 hours of raw internet content and twelve 1-hour television episodes. Our budget? $5.6 million (US). Our intent was to turn the Hollywood paradigm on its head, to restore creative control where it belongs—in the artist's hands. Our journey has led us to a format that offers strong potential returns at a relatively low risk to independent investors. Oh yeah. This changes everything. I'm about 2/3 of the way through the "distilled" version and it's very entertaining. I didn't realize the budget was so low. Just yesterday my friends and I were flipping through channels, complaining about the abundance of cheap reality shows... being able to produce quality fiction at the same price point has huge potential. Well I sincerely enjoyed studying it. This subject offered by you is very effective for good planning,hard work and a great team always make a spotless work.